IF YOUR BIRTHDATE IS ON JANUARY 30, it’s likely that you spend too much time on matters that you cannot change. Get a list of the famous January 30 birthdays below. 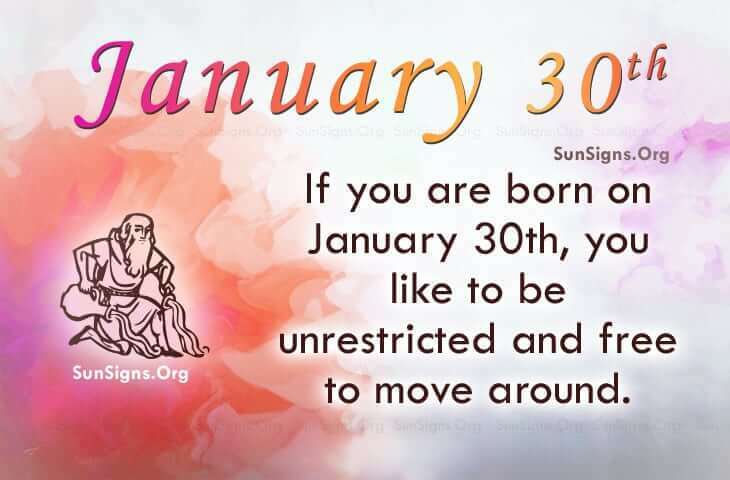 Alternatively, famous people born on January 30 like to be unrestricted and free to move about the country. They are able to tell a joke with precision and enthusiasm. They can do what most people can’t. It is suggested that the Famous Aquarians born on January 30 are green-eyed individuals who become aggravated at the drop of a dime. Generally, they are honest to a fault. They are genuine however and are people that value and love their friends and family. However, famous people born on 30 January can be stingy when it comes to spending. They would rather jump off a bridge than spend a dollar. There are times when they can’t sit still. They have to be on the go. This is when they are subject to questionable behaviors. As a means to control this pattern, they should look for a partner who will provide stability to their life. But this could prove to be difficult as they never seem to relax long enough to let someone in their heart. The famous birthday personality of those born on January 30th suggests that Aquarians worry too much. They should focus on relationships that could provide a spiritual energy.